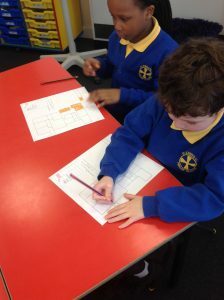 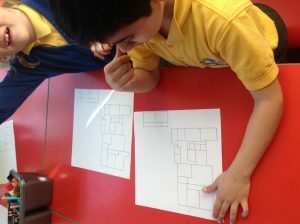 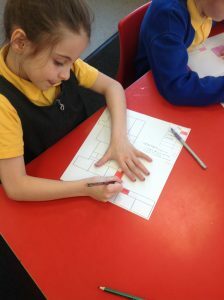 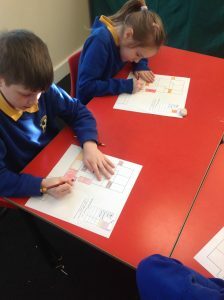 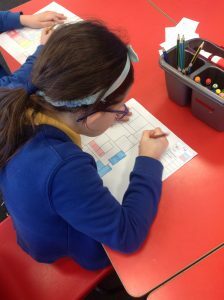 The first task of this week’s activity was to identify what the map was showing. 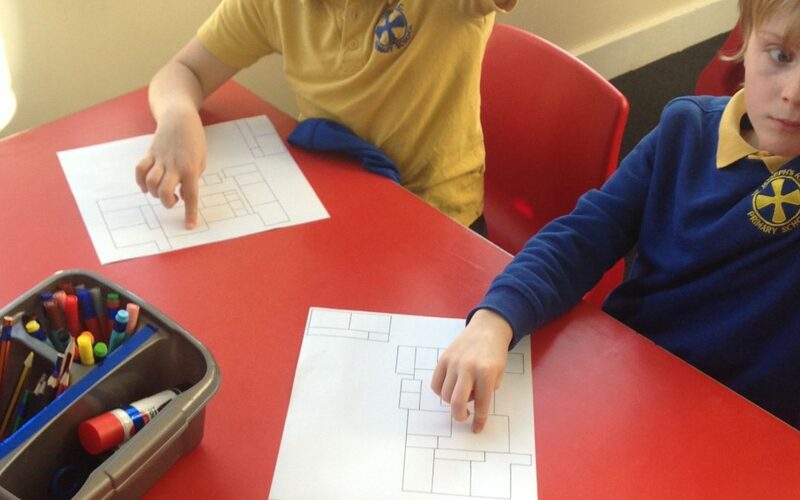 The children worked out that without any labels or symbols the map could have been of anything. 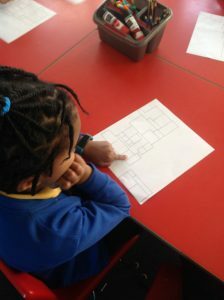 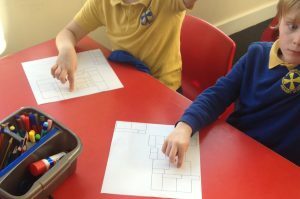 With a few clues from Mrs Thompson they worked out that it was a map of our school. 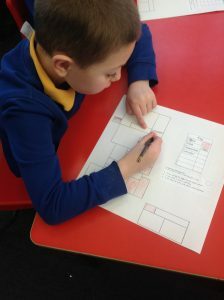 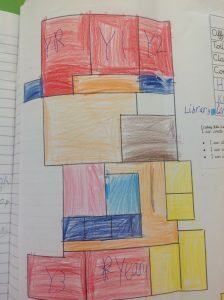 The next job was to find their classroom on the map, the hall, the library and the community room. 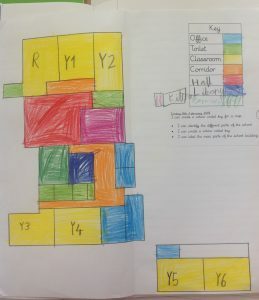 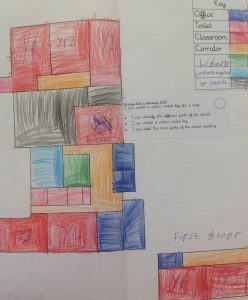 The children worked in pairs to make this map much more accessible by adding a colour coded key and some labels.